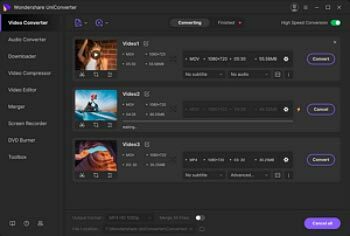 iMovie is one of the best video editor used in a home-based computer that 99% of YouTube videos are with its edition, which has gained great popularity in the early period in the range of millennium. However, there was a serious complain that .mov cannot be imported to iMovie video editor. Mostly, there won’t be such a problem of importing .mov to iMovie. The video codec such as AIC or H.264, DV, MPEG-4, MPEG-2 is authorized to import mov files to iMovie. But when the mov files are developed with incompatible mode they are failed to import .mov to iMovie. This problem would result in issues like playback, slow progress etc. Another reason is .mov file takes much space in hard drive usually. This kind of problem will be reflecting in new iMovie versions which won’t accept the .mov file to import. You can see the video, but the fact is you can’t progress the correct format of sounds and clips in the video. Without further ado, I'd like to recommend you Wondershare UniConverter (originally Wondershare Video Converter Ultimate). It's an all-in-one video converter tool that convert videos to over 1000 video/audio formats or any popular device for further playback and editing. Moreover, it's so user-friendly that you can complete video conversion within 3 simple steps. In order to make sure that the best and the state of the process is followed in this regard it is advised to make sure that the user gets the best outcome in this regard by following the steps as under. Step 1 Launch Wondershare UniConverter (originally Wondershare Video Converter Ultimate) after installation, then click the button in the upper-left corner to add your target MOV files. 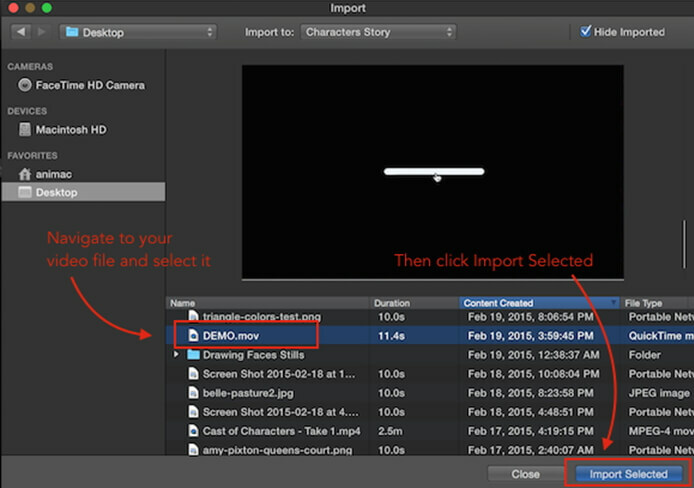 Step 2 Then click the icon from the Target box and select Editing tab, choose iMovie in the left sidebar and select the video resolution in the right to confirm the output format. Step 3 Click Convert or Convert All button on the program's interface to start converting MOV to iMoive-compatible formats. After conversion, you can effortlessly convert your desired MOV files to iMovie for further editing. Now let’s see the steps on how to import converted .mov to iMovie. Step 1. 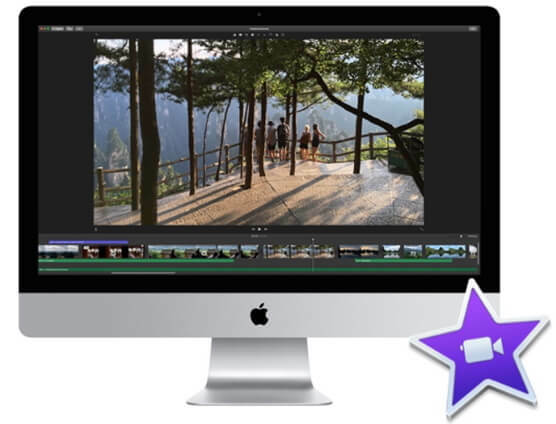 Buy iMovie form apple and open the software. Step 2. You can either directly Import Media with Import icon. or select File and click Import > Movies... . Step 3. Now select the file and view the iMovie. You will get displayed with pop-up window showing list of file format. Step 4. Select the video of MOV extension and click Import Selected to proceed. And then you'd get an interface as below when the .mov file is successfully imported to iMovie.